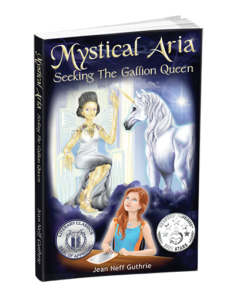 The young adult science fiction novel, Mystical Aria: Seeking the Gallion Queen, introduces a new world of transmission technology. 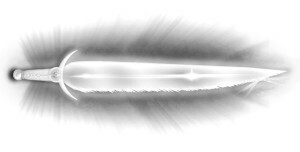 The heroine, a psychic tween named Aria Vanir, writes in her tDiary with her tPen and saves these personal entries by pressing her thumb on a tScan. Students, teachers, and parents collaborate on homework assignments with tBinders. Aria’s father feels like he’s next to home plate when watching baseball on the holographic TV (tHTV), which displays three-dimensional images of players into his living room. How did author Jean Neff Guthrie come up with the idea to incorporate “t” as a name for future-generation technology? Around January 2006, Jean went on a one-day adventure to Key West, Florida. She had finished a five-year assignment as information technology project manager with Delta Technology. Jean needed to be in 5-o’clock-somewhere zone, so she used remaining flight benefits on Delta Airlines to enjoy warm weather and island attractions. Jean’s most memorable stop in Key West was the home and museum of famous author Ernest Hemingway. 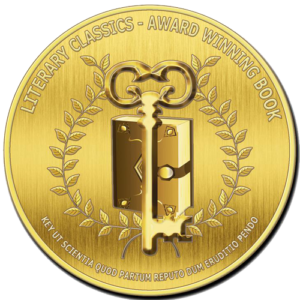 Seeing how a successful writer lived and viewing the world from his studio inspired Jean to focus on finishing her first manuscript. As Jean relaxed at an outdoor bar down the street, she thought about the biggest challenge she had with her manuscript at the time: what to name the advanced technology that the Earth characters will have in 2028. Taking another sip of her island beverage, Jean noticed a red EXIT sign on a door of a building across the street. 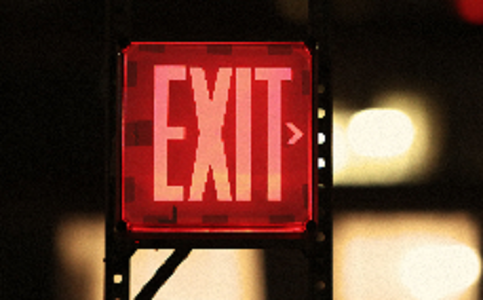 While it was an ordinary EXIT sign, the letters seem to speak to her. E: already used in email. X: already used in Xbox. I: already used in iTunes. Jean realized that no one had used the letter t in front of a phrase as a name or description for technology. She wrote the word tDiary on a napkin at her table and spoke it aloud. Easy to say. Odd enough to be a futuristic term. Simple enough to comprehend the meaning. Name birthed! The mental image of the EXIT sign across the street from a Key West bar remains forever etched in Jean’s memory. Perhaps a ghost of inspiration wonders those alleys near the Ernest Hemingway Home and Museum.